On Tuesday, the Owner-Operator Independent Drivers Association (OOIDA) filed a federal petition to intervene in the lawsuit brought by the Teamsters, Advocates for Highway and Auto Safety and the Truck Safety Coalition against the U.S. Department of Transportation and the Federal Motor Carrier Safety Administration last March. That lawsuit is opposed to the government opening the borders to Mexican trucks and now OODIA is adding their own two cents to that claim. “As the representative of small business truck drivers, OOIDA has a different practical and legal perspective from the other Petitioners regarding the threat to highway safety posed by the operation of commercial motor vehicles by Mexico-domiciled trucking companies on roadways throughout the United States,” sated their petition. 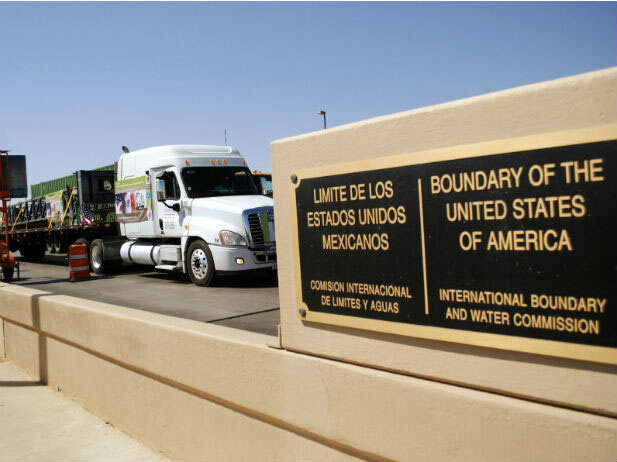 The petition was filed in the U.S. Court of Appeals for the Ninth Circuit and further stated that granting authority for long-haul Mexico-domiciled motor carriers operating in the U.S. would adversely affect small-business truckers and highway safety. “Additionally, the economic interests of small business truck drivers threatened by competition from Mexico-domiciled carriers differs from the interests represented by the petitioning Teamster groups and highway and truck safety advocate organizations,” OOIDA said. In January, the FMCSA had issued a report to Congress indicating that the agency intended to begin granting long-haul authority to Mexico-based motor carriers. Their report even stated that Mexico-based motor carriers are as safe as, if not safer than U.S. and Canadian trucks, although they did not have the data to support that claim. What the report did indicate, was that the pilot program participants as well as more than 900 enterprise motor carriers (US motor carriers with 55 or more percent Mexican ownership), proved that different regulations weren’t needed. But the Teamsters and advocate groups called the report “arbitrary and capricious” and that the agency’s data from the pilot program participants was off the mark. The plaintiffs cited the conclusion of a 2014 U.S. Department of Transportation Office audit on the pilot program. The audit reported that the pilot program failed to prove all Mexico-based motor carriers should be granted full access to U.S. highways. Although the DOT audit said that FMCSA did provide sufficient monitoring and enforcement of the pilot program participants; the program lacked an adequate number of Mexico-domiciled pilot program carriers, and therefore, did not result in statistically valid findings. OOIDA has kept a close eye on the cross-border pilot programs and has participated in the many agency proceedings throughout the history of the ongoing matter. The association has also filed numerous comments over the years responding to agency reports, environmental assessments and several preauthorization safety audits for Mexico-based carriers. “OOIDA’s interests and the interests of its members will be directly and adversely affected by the grant of (long-haul) operating authority,” said the recent filing. OOIDA has over 150,000 members operating more than 211,000 heavy-duty trucks and represent nearly half of the total number of active motor carriers operating on U.S. highways. Tell us your opinion as a truck driver. Would open borders directly affect your job? This sounds like a great idea to open the border to Mexican trucks. ............if you're in the drug smuggling business! Wtf America.